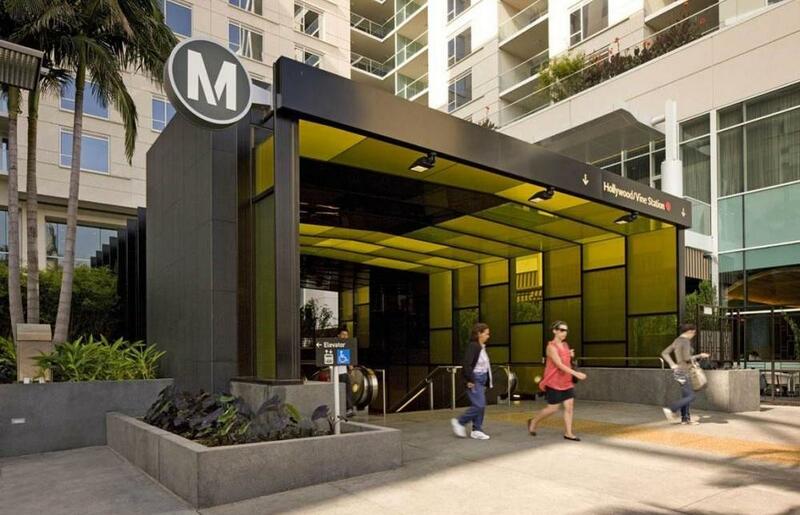 Rios Clementi Hale Studios was commissioned to create a covered entryway for an existing Metro subway stop, and an engaging plaza surrounding it. 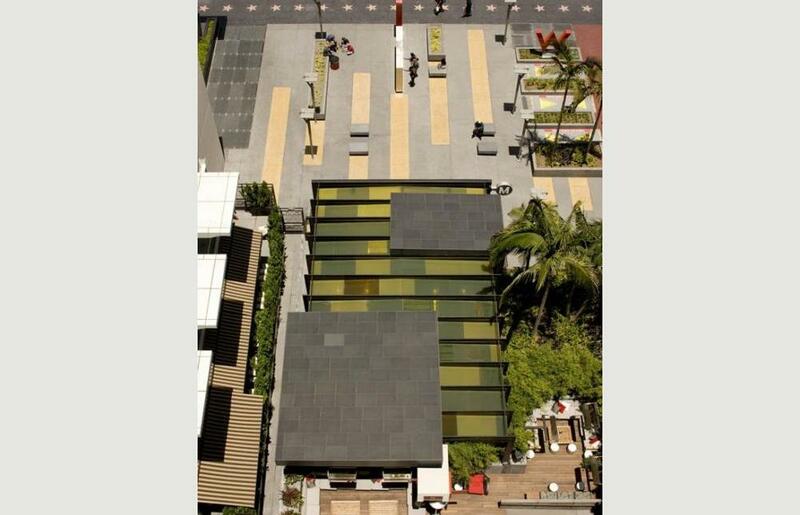 Bordered on three sides by a multi-use project, the entry canopy and adjacent common areas artfully merge into the ground plane of Hollywood Boulevard, serving as a pedestrian threshold and grand “front door” for the elegant W Hollywood Hotel and W Residences—which rise up just behind—and a gracious arrival point for Metro Red Line riders. 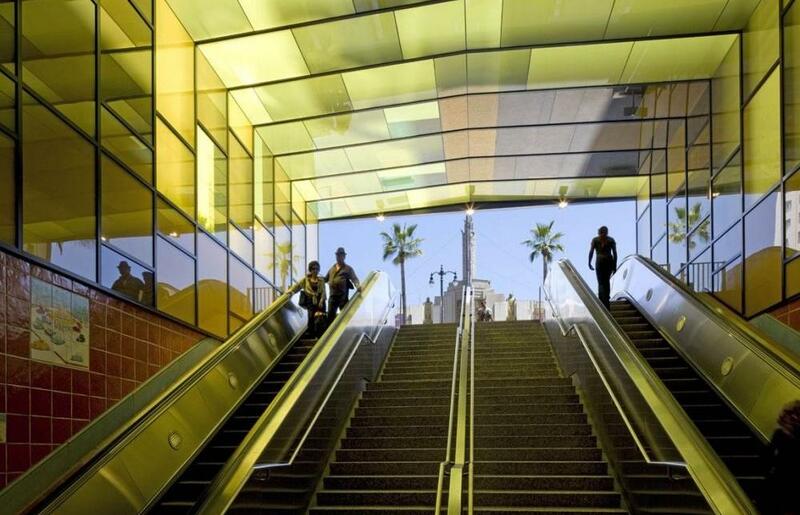 Within its exciting urban context, the plaza and portal find common ground between the public, egalitarian ethos of the transit station, and the exclusive nature of the W Hollywood Hotel and W Residences. 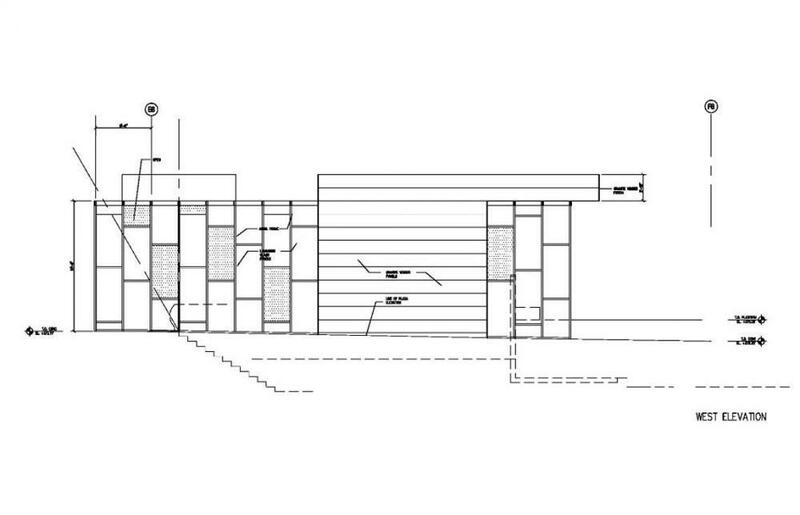 Rios Clementi Hale Studios’ design—which required approval by the Community Redevelopment Agency of the City of Los Angeles (CRA/LA) and the Los Angeles Metropolitan Transit Authority (Metro), as well as the developers—mediates this interface of users and activities without ever physically separating or severing the spatial experience. 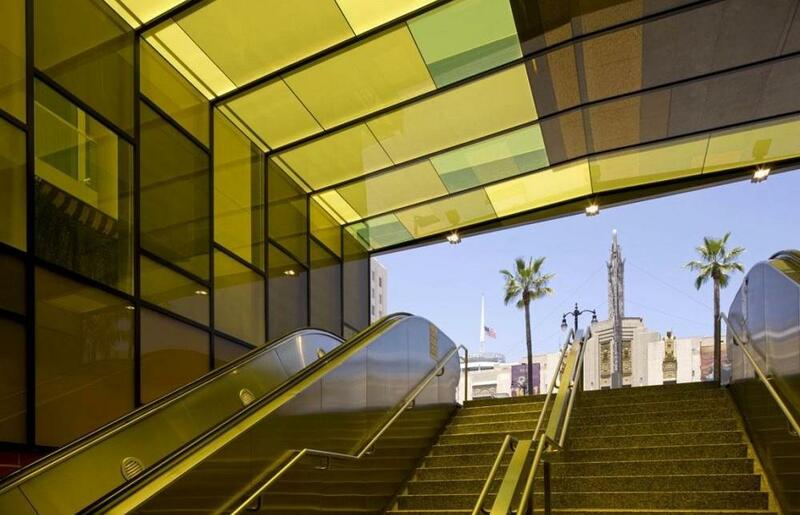 Rios Clementi Hale Studios’ design integrates the Metro Portal and Plaza into the fabric of Hollywood Boulevard, creates an environment to satisfy the diverse groups converging there, and links Hollywood’s iconic past to its revitalized present. 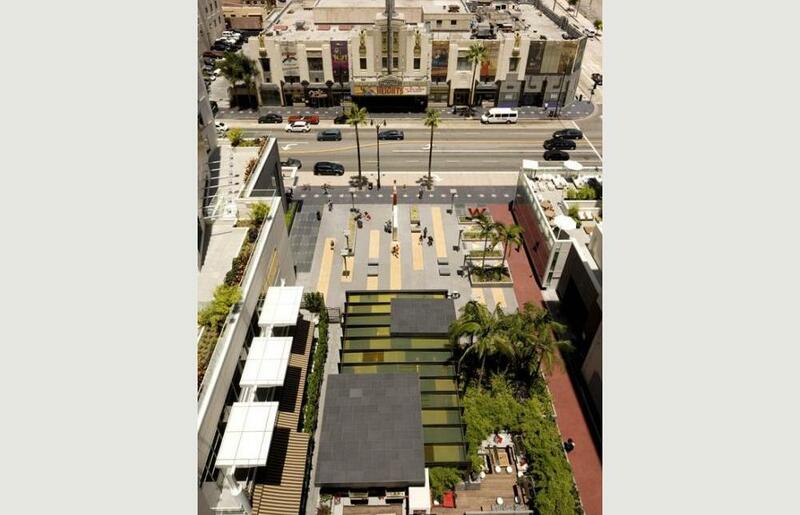 The program realizes the plaza as an extension of a series of thematic courtyards lining Hollywood Boulevard (such as the ones fronting the landmark Egyptian and Grauman’s Chinese theaters). 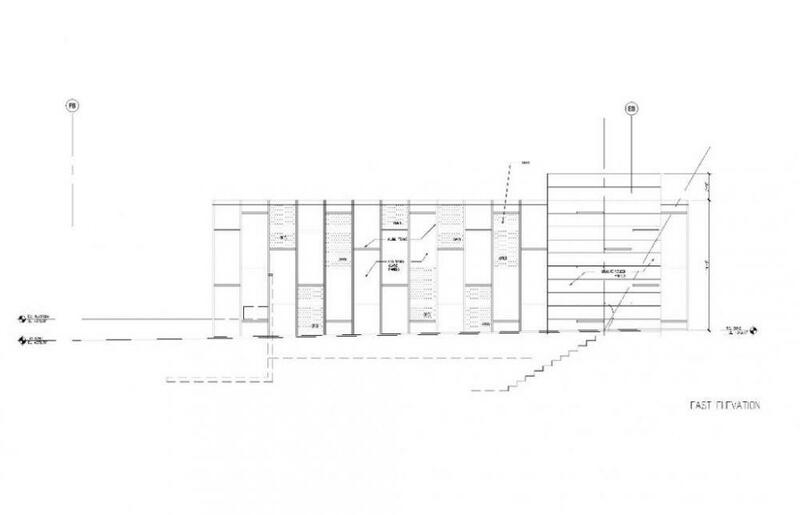 The design also utilizes the dramatic presence of the Pantages Theater directly across the street as a visual benchmark—the Metro escalators are aligned so that the Pantages is central to the sightlines of commuters coming up from the subway. The historic theater, which spatially engages with the plaza as its own courtyard, lends its Art Deco palette and verve to the design. 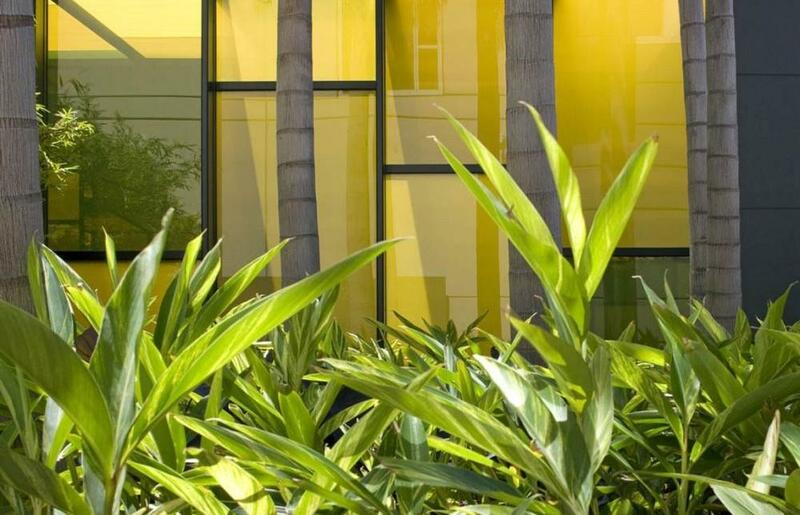 The Rios Clementi Hale Studios team incorporates a rich spectrum of colors and patinas into the design—and a boldly differentiated hardscape palette—to contrast and connect project areas. 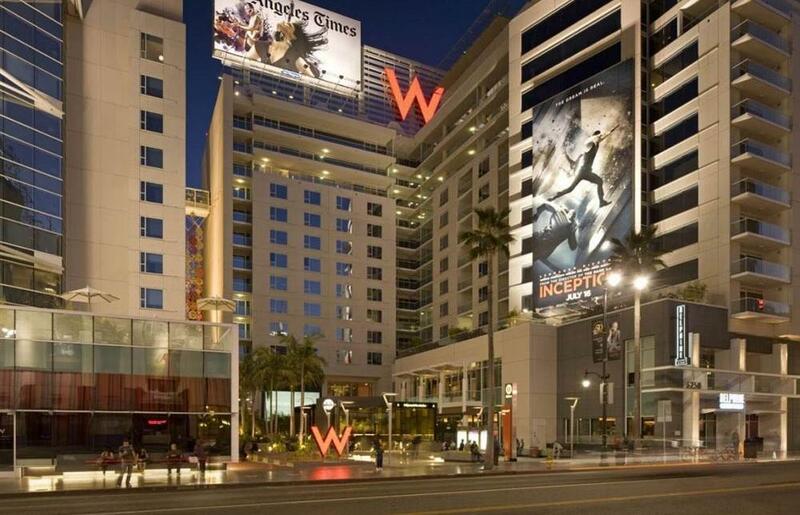 At the east perimeter, a ruby-hued glass-aggregate concrete “red carpet”—suggesting archetypal Hollywood glamour—stretches from the sidewalk’s Walk of Fame through the hotel lobby. 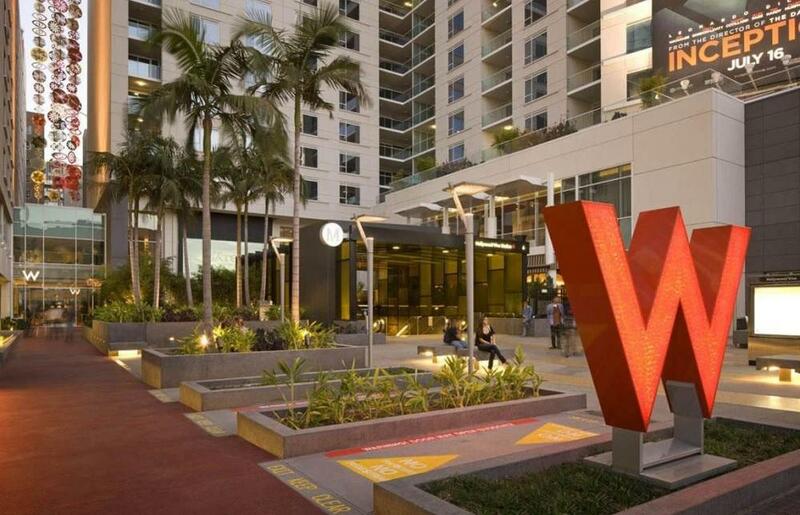 On the exterior of the Metro Portal canopy, black granite and concrete walls extend up to wrap a granite slab over the top, making the roof a handsome focal point for W Hotel guests looking down from their rooms. 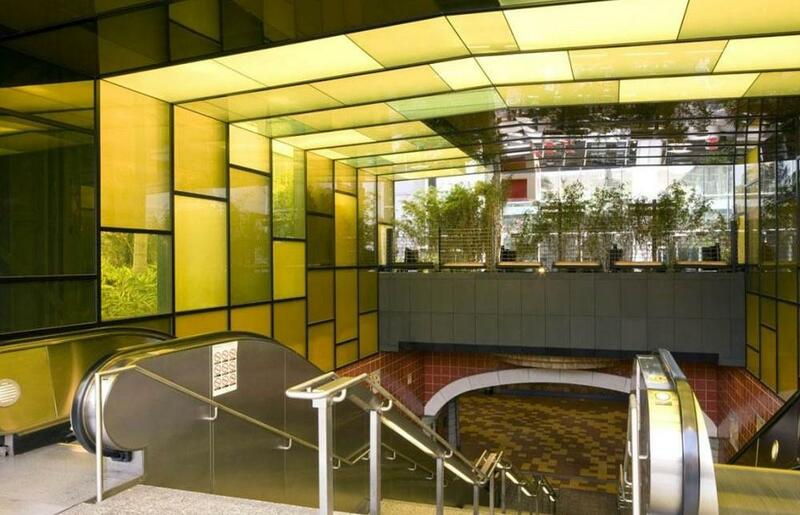 The luminous underside of the canopy is composed of varying tones and translucencies of gold, honey, and amber glass, a patchwork of color and texture inspired by “the yellow brick road.” The gold jewel tones are repeated with terrazzo inset into the concrete plaza pattern. Other details throughout the portal and plaza echo the design’s black and gold motifs—including gold leaf, foil, and crenellation—as well as the black and gold ornamentation on the Pantages’ Art Deco façade. 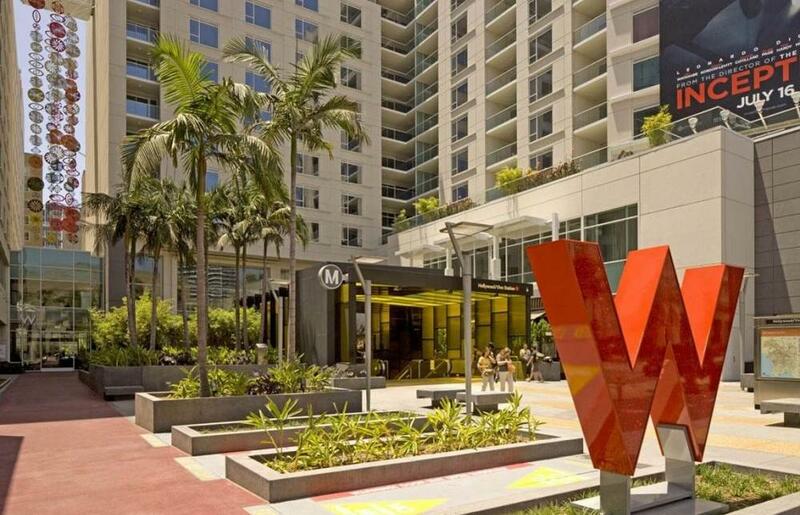 The Metro entrance sits directly in front of the W Hotel’s Station Hollywood lounge—a sophisticated open-air gathering spot with corresponding landscape design by Rios Clementi Hale Studios. 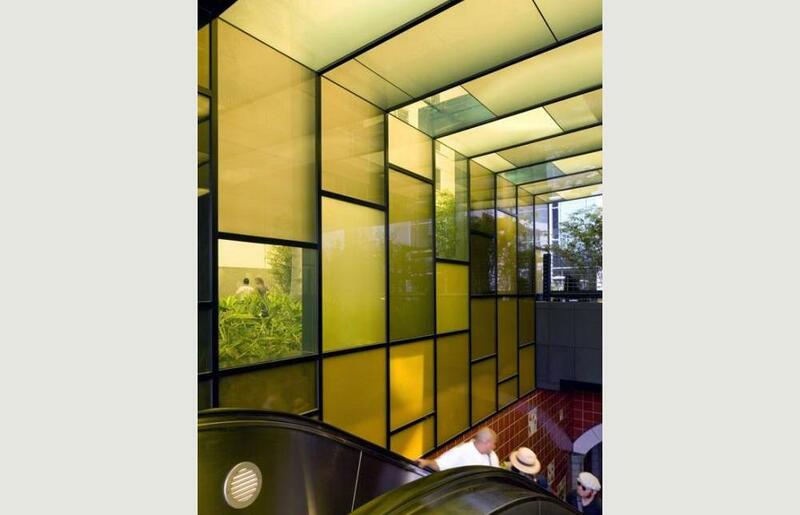 Hotel guests congregate, eat, drink, and view movies projected on a screen on the hotel’s façade, visible to subway riders through the Metro Portal’s translucent canopy. 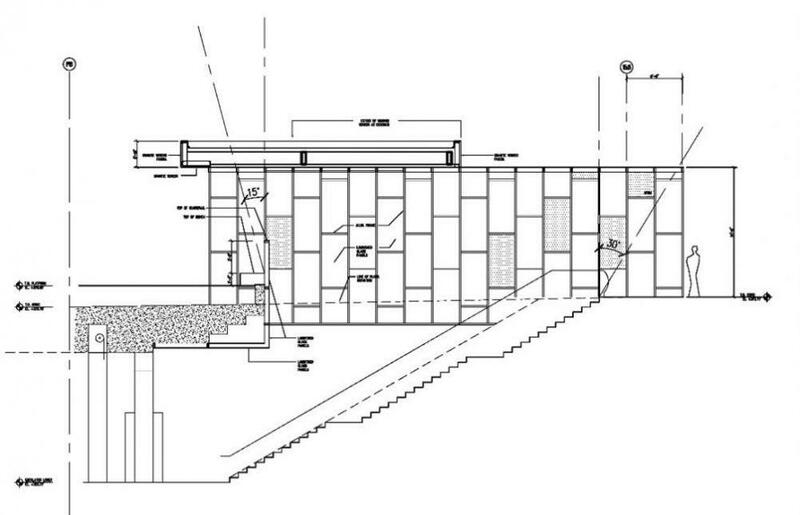 Permeability and transparency are themes running through the entire design program for the portal and plaza. Like the courtyards of the themed historical theaters on the Boulevard that inspired it, the new public plaza also has a foreign reference. 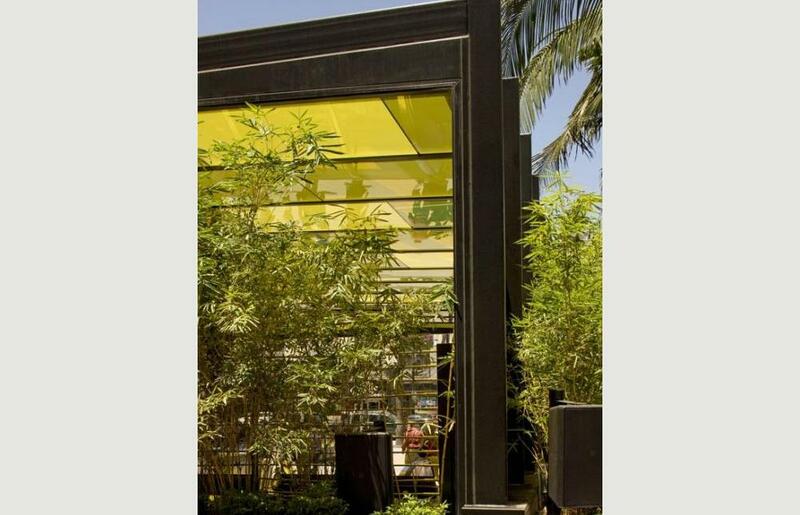 Rios Clementi Hale Studios used a Southeast Asian palette of low lush tropical plants, including Dwarf Bamboo, Black Bamboo, King Palm, Lily Turf, Variegated Shell Ginger, and various types of Elephant’s Ear—all selected for their exotic appeal, easy maintenance, and root base to be accommodated in shallow planters. 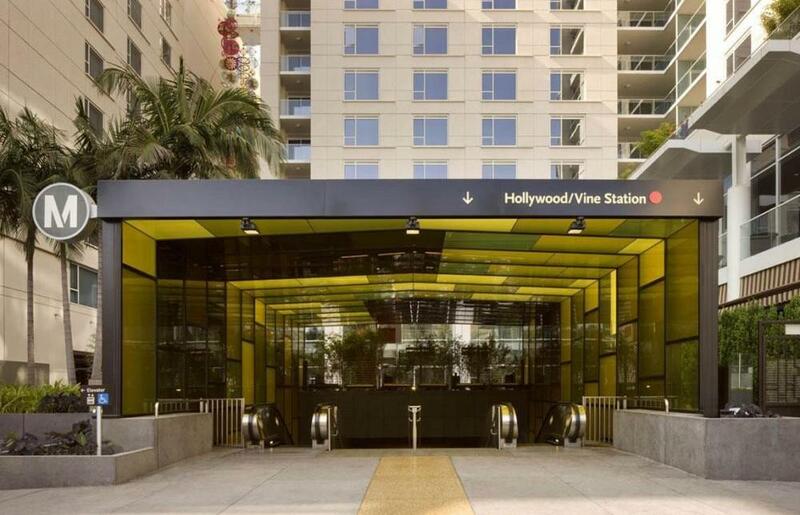 The Metro Hollywood/Vine project was developed by Gatehouse Capital and built in association with the Federal Transit Administration’s Transit Oriented Development program, which fosters mixed-use development within walking distance of public transportation. 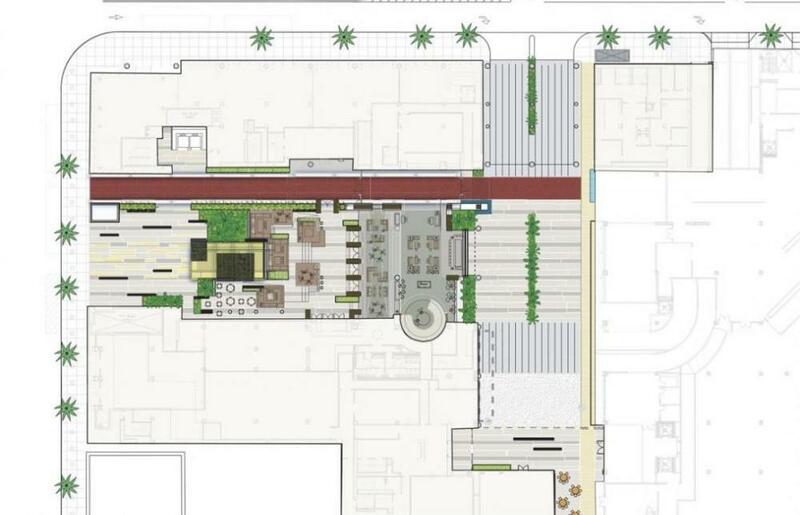 A key element in Hollywood’s vibrant urban redevelopment, the plaza is surrounded on three sides by such development. The plantings are drought-tolerant, requiring minimal water usage.